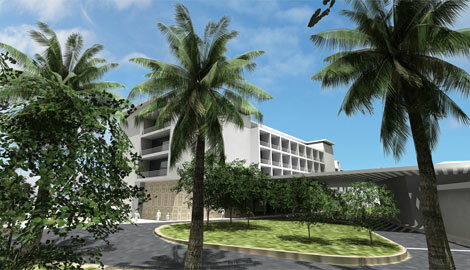 Hilton Worldwide has announced a 200-room property in Sierra Leone’s capital Freetown, scheduled to open in 2014. The Hilton Freetown Cape Sierra will be the group’s first hotel in Sierra Leone, and will be located in the Aberdeen district of Freetown, overlooking the coastline. Facilities will include 20 suites, a business centre, health club, outdoor pool, and five restaurants and bars. Hilton Worldwide currently has 34 properties across Africa, with eight in the pipeline including the recently-announced Hilton D’Njamena Chad (see online news August 13). Rezidor Hotel Group also recently announced its entry into Freetown, with the rebranding of the Mammy Yoko Hotel later this year (see online news April 1).